Healthy Feet Solutions offers quality professional products that are specially formulated and clinically proven to keep your feet healthy. Whether you need pain relief, improved balance and alignment, an all day comforting foot massage, skin and nail care, or diabetic foot care... We’ve got you covered from heel to toe. At Healthy Feet Solutions we are dedicated to Helping Feet Last a Lifetime. are perfect for anyone that stands on their feet for extended periods of time up to 12 hours per day. These Massaging Insoles alleviate chronic pain in the back, hips, knees, or feet. By providing proper structure and alignment, Healthy Feet Solutions™ Massaging Insoles help you appear taller and improve your posture. Circulation is improved by massaging the bottom of your feet. The therapeutic massage effect makes it easier on joints and the back by reducing pressure with every step. You will have a more forgiving walking surface with shock absorbency reduced by approximately 80% just like walking on a soft sandy beach. Healthy Feet Solutions™ Massaging Insoles provides relief from chronic plantar pain. Redistributes body weight to eliminate pain, pressure, and fatigue. Absorbs the shock of everyday standing, walking, and working on hard surfaces. Reduces inflammation by increasing circulation. 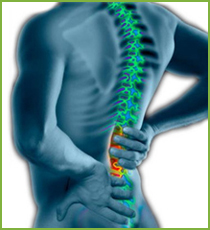 Back and Hip pain comes primarily from standing and/or walking for long periods of time. Healthy Feet Solutions™ Massaging Insoles put upward pressure on the arch which causes the foot to rock slightly forward pulling the calf with it. This creates a forward rotation of the pelvis which helps to realign the spine straight up and down. Now the weight of the upper body is supported by the spine rather than the muscles of the hip and lower back allowing you to stand, walk or work for long periods of time with little or no pain. Knee Pain occurs when the ankle or foot excessively flexes inward or the arch flattens too much. The body over compensates from the lack of stability in the foot giving a slight twist to knee. 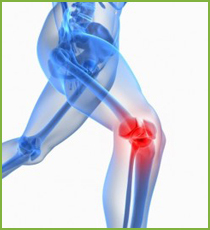 Targeted Treatment for Knee Pain will help align your feet into their proper positions. This misalignment continues up to the spinal column, causing discomfort to the knees, hips, legs, lower back and upper back. How would you feel at the end of the day if you had an all-day foot massage? When you put your feet on a bed of pharmaceutical-grade glycerin massaging insoles, your feet will react to pressure in just the same way soft dirt or sand takes on the proper shape of your feet. You will notice great relief throughout the day. Calluses grow anywhere there is friction or rubbing against a hard surface. The more rubbing, the thicker the callus tends to form. Healthy Feet Solutions™ float your feet on top of a flexible surface of pharmaceutical-grade glycerin, somewhat like a “water bed” for your feet. When your feet float, rubbing is eliminated and there is no longer any friction between your sole and your shoes. No irritation; no need for the protection of a callus. Over time, existing calluses will simply disappear as your feet return to their natural healthy state. Morton’s Neuroma is an inflammation of the Plantar Nerve that runs between the Metatarsal Bones of the 3rd and 4th toes. This inflammation is normally due to the wearing of tight shoes. How does Healthy Feet Solutions™ provide relief? The constant massage of Healthy Feet Solutions™ Massaging Insoles attacks and eliminates the pain. The insoles also provide arch support which lifts and separates the Metatarsal bones keeping them from rubbing the Plantar Nerve. The dramatic increase in Circulation — recently proven in a clinical study to be as much as 115%* — eliminates the inflammation that causes the pain. Professional skin care products with the latest technology specifically developed for the feet. No matter what your problem may be we have the solution. Graduated compression improves blood circulation and prevents the worsening of problems caused by venous insufficiency like swelling and tight heavy painful legs. Stylish and comfortable for people who sit or stand for long periods of time and especially recommended for those who travel. Several styles, colors, and sizes to choose from.